Refers to changes to a cell’s gene expression that do not involve altering its DNA code. 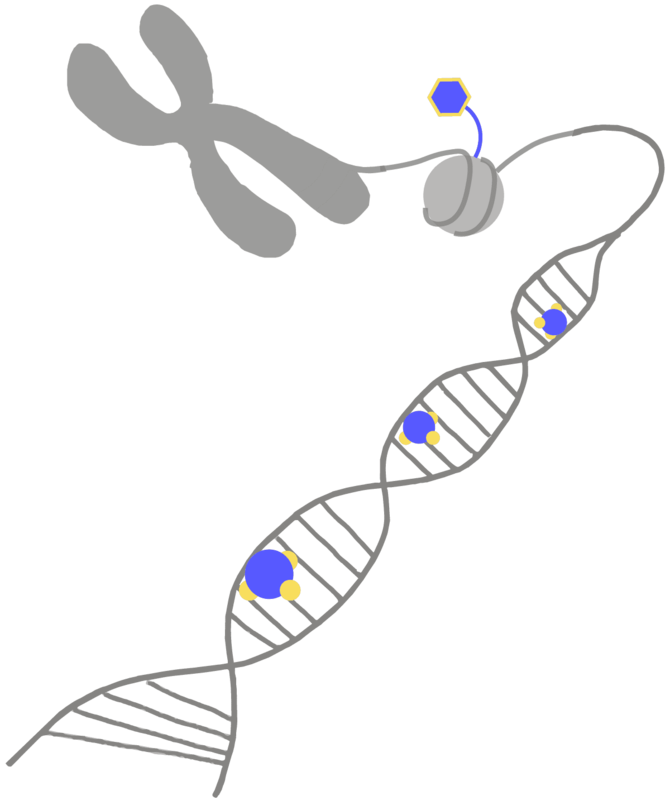 Instead, the DNA and proteins that hold onto DNA are “tagged” with removable chemical signals. Epigenetic marks tell other proteins how to read the DNA, which parts to ignore, and which parts to transcribe into RNA. Comparable to sticking a note that says “SKIP” onto a page of a book – a reader will ignore this page but the book itself has not been changed.